The following is an extract for an article I wrote which first appeared on Flaviar.com in September 2018. You can read the full thing here. While it’s true that there are some things that probably shouldn’t be distilled into Gin (fish eyes, earwax, old socks…), it all comes down to personal preference, and without experimentation we’d all be drinking the same damn thing, anyway. So keep an open mind while we take you through some of the most unusual ingredients you’ll find in Gin – from the fun, to the far-fetched, and even the down-right weird. Actually, since the time of writing, I’ve tried a few other unusual Gins, but I suppose the distinction I haven’t made is what’s weird and brilliant, and what’s weird for the sake of it. I’m dubious that Anty Gin actually tastes good, but the latest limited edition offering from Tarquin’s Gin and GinFoundry.com is certainly the latter. Tan Ha Mor, which translates to ‘fire and sea’ in Cornish, is outstanding. Devised on Polzeath beach, made with charred oak chips, whole grapefruits and oranges and infused in Tarquin’s Navy Strength Gin before being cut to bottling strength (50.5% ABV), it’s a thing of beauty. Salty, smokey, citrusy-sweet, spiced beauty. Unsurprisingly, it’s sold out online, as only 500-ish bottles were made, but rumour has it there’s still some lurking around the distillery, and you can try it all this week (while stocks last) at the Gin Kiosk pop up in Old Street Roundabout (until 8th December). 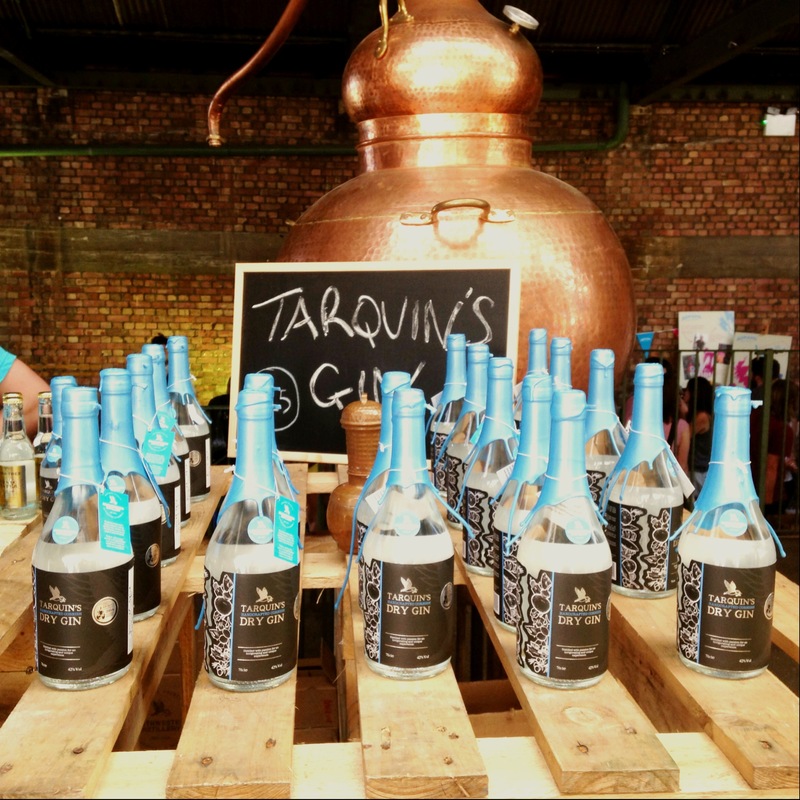 Produced by the Southwestern Distillery, Tarquin’s Gin (42% ABV) is made in Cornwall with hand-picked Devon violets and fresh orange zest. The grain spirit is diluted to bottling strength with Cornish spring water. I first tried this at a hotel in Bath, and then had the pleasure of meeting Tarquin himself at this year’s Junipalooza. It’s clear that he’s passionate about this stuff; he hand-fills, signs, corks and seals every single bottle. You’ll be hard pushed to find this small batch gin (at just 300 bottles per batch) on the shelves unless you live in the West Country, but the good news is, you can buy it online – and it’s well worth seeking out. 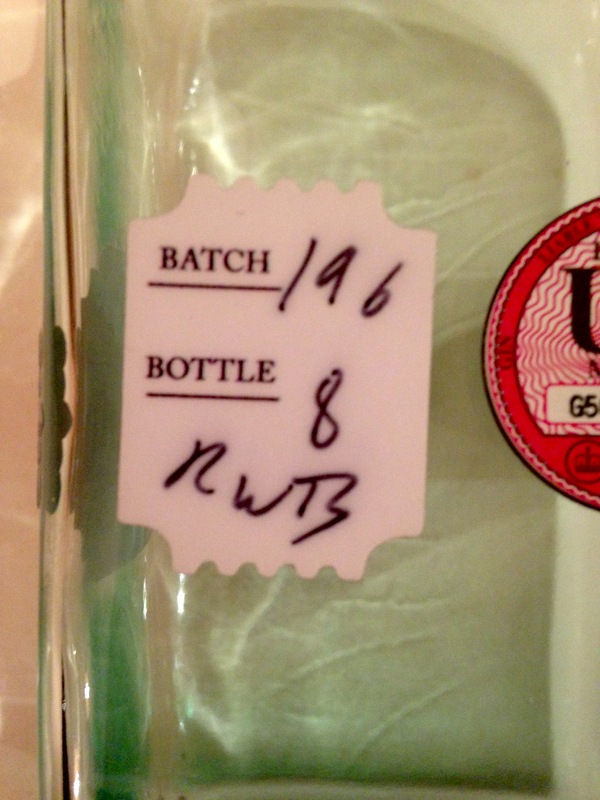 Made in Hackney Wick, I first discovered Butler’s Gin (40% ABV) a year ago, when I received a bottle as a Christmas present. Produced on a boat by Ross William Butler (aka The Butler), Butler’s Gin is made with cardamom and lemongrass for a light, crisp flavour. The spirit is infused with nine botanicals for 18 hours, before being hand bottled and signed by The Butler himself. The cardamom and lemongrass give it a yellow-y, greenish tint (similar to the colour of the glass bottle in which it’s stored). The best bit? 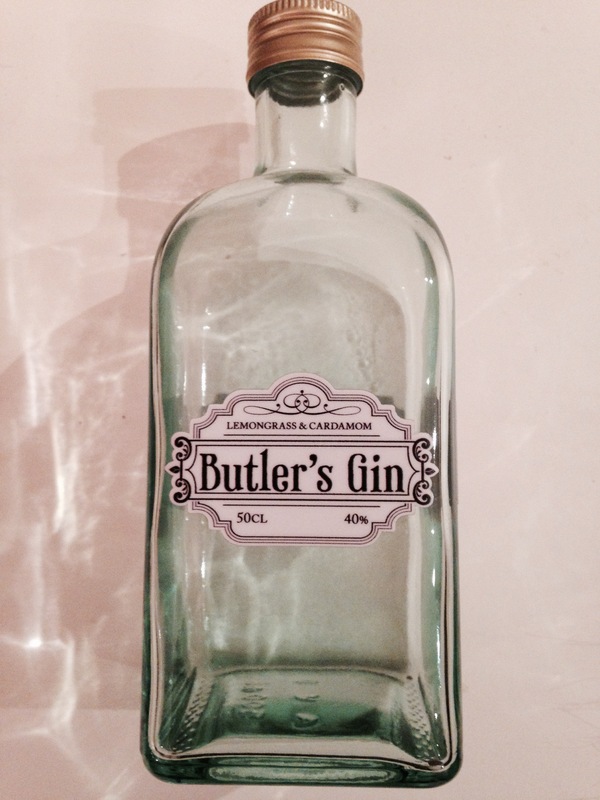 Butlers Gin is currently offering £6 off the bottle price. Snap it up, quick! 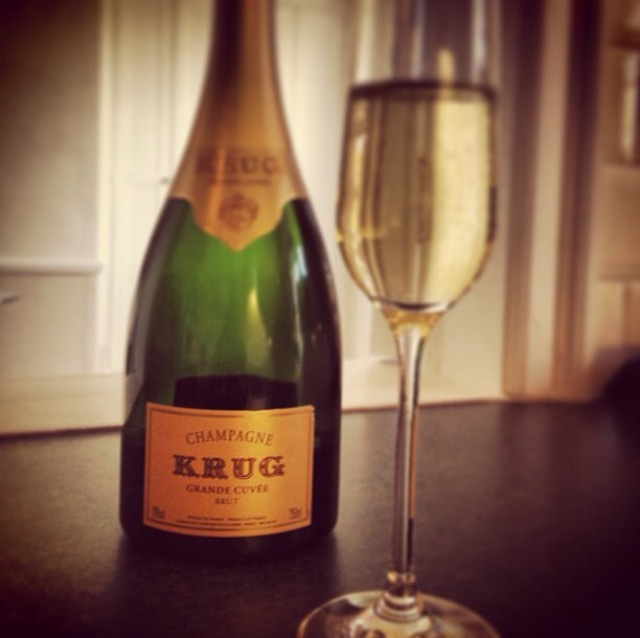 Christmas, for me, means Champagne. The immaculate conception and birth of baby Jesus miracle thing aside, it’s the best thing about the festive season. Couple that with gin, and you’ll find me in a happy drunken haze from somewhere around mid-December until the 1st January. These gin and fizz cocktails are sure to please fans of either. A true classic, which first appeared in The Savoy Cocktail Book in 1930. Put 2 measures of gin in a champagne flute, add a measure of lemon juice, half a measure of sugar syrup (make your own, it’s easy), and top with champagne. 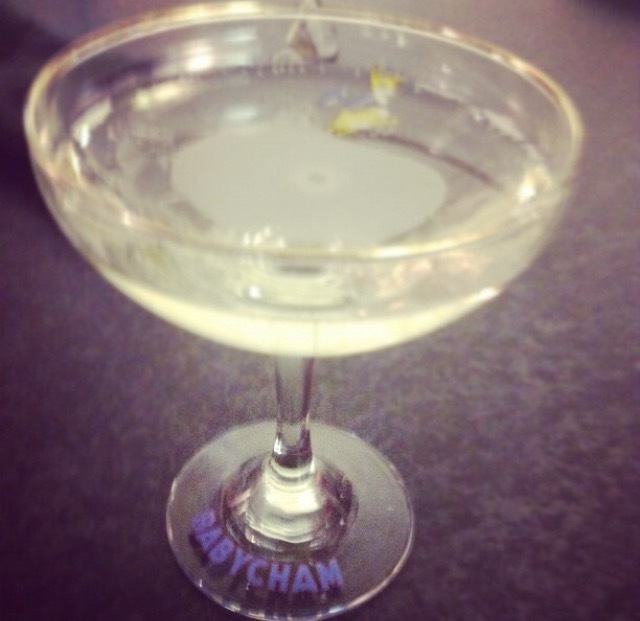 What can possibly improve a Martini? Champers, duh. Combine 2 measures of gin and 2 measures of Vermouth in a glass filled with ice. Stir until chilled and strain into a Martini glass. Top with champagne. A different take on the Kir Royale. Put 2 measures of sloe gin into a flute and top with champagne for a festive treat. I like my gins strong and bold, with lots of juniper, lots of citrus, and clean, fresh, zesty tastes. That’s my go-to, my basic, and exactly what I want from an every day gin and tonic. But every once in a while, something different crops up that makes me question what I know. 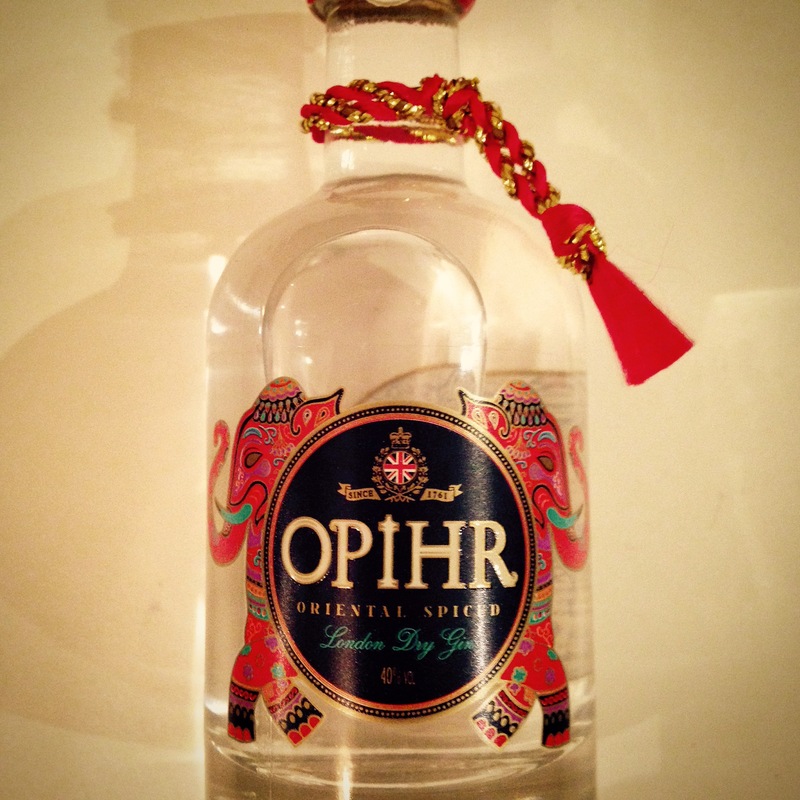 Opihr Oriental Spiced Gin (40% ABV) is bold, and it is clean, but it also has lots of spicy, sweet, peppery flavours. Cardamom, cumin and ginger are dominant on the nose and it has a warmth that tingles and lingers on the tongue without an overpowering heat. The cutest gin miniature ever? Made with botanicals found on the ancient Spice Route, this Oriental spirit is a London Dry Gin made at England’s oldest gin distillery. I was first introduced to it served warm with ginger ale (I hate ginger ale) and it was delicious; aromatic and spicy and sweet. Since then, I’ve heard of it served with tonic and a slice of ginger or a red chilli. There are so many things about this that I shouldn’t like, but I really, really do. A must-try for those looking for something a bit different. Exciting news for those of you still struggling for Christmas present ideas; this weekend (12 and 13 December), Bombay Sapphire is offering bespoke engraving on their bottles of gin. Pop into Selfridges between midday and 8pm, and for the price of a bottle of gin (£29.99), they’ll engrave a personalised message while you finish your shopping. Tempted to get one for myself and have them put ‘NOT YOURS’ on it in big letters.